Mass customization appears to be making a huge come back as companies are streamlining the production and manufacturing of personalized products. Mass customization was a hot topic in the late 90’s, with Nike launching NIKEID, a website that allows you design your own Nike shoes, in 1999. Today it’s not only the big players like Nike and Burberry who are entering into the bespoke goods market. Startups, banking on the fatigue of fashion fashion, are building businesses that allow customers to create personalized, one-of-a-kind products. Convival Project is a London-based studio that has created a beautiful IOS App that allows customers to customize the patterns of a scarf. 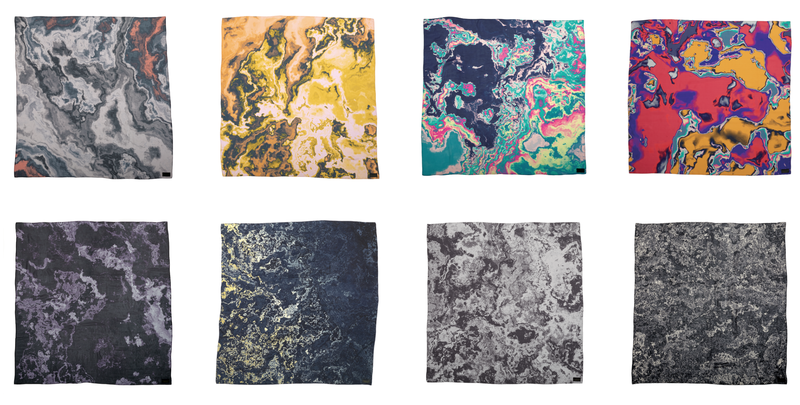 The Generative Scarves app enables the user to customize colors and patterns and create a unique print for an individual scarf that can be ordered online. Tinker Tailor, founded by Aslaug Magnusdottir, brings bespoke luxury fashion to the masses. 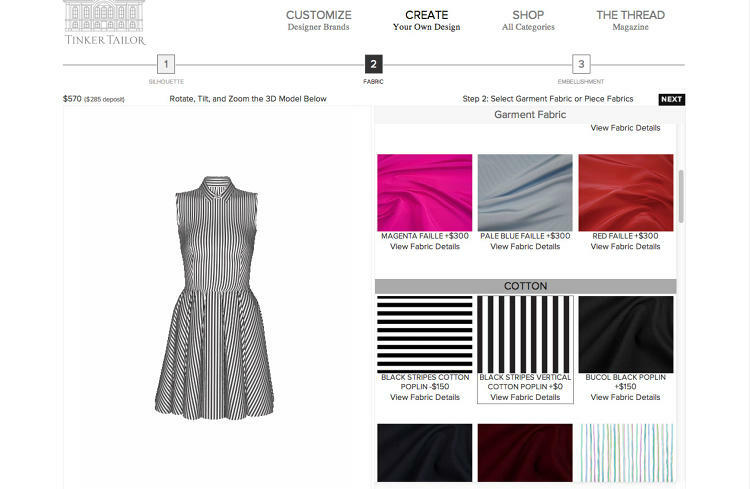 Working with designers like Marchesa, customers can customize the hem, pattern, and cut of a dress online. Personalization aspects are limited but too much choice traditionally hasn’t worked well with consumers. Other websites to note are Shoes of Prey, Ethreads, and 121time.com. According to this Mckinsey report, the new wave of mass customization is being driven by a number of factors including interactive product configurators, 3D scanning and printing, and flexible manufacturing systems. So why discuss mass customization on a wearable tech blog? The recent and much applauded trend for wearable technology companies has been to engage with the Fashion industry. Wearables are trying to become more fashionable. As I work with companies to try to bring “fashion” to wearable devices, I’ve come to the conclusion that “fashion” or “great product design” may not be the holy grail to getting products adopted by the mainstream. Wearables don’t need to just become more fashionable, they must become more personal — both in the user experience and form factor. 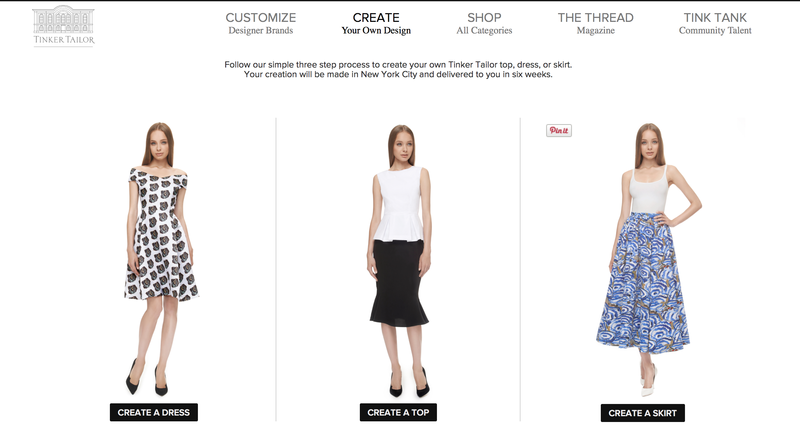 Could mass customization become a key to greater adoption of wearable technology? After all, wearable technology is intimate. Our devices need to conform to us — not us conforming to our devices.